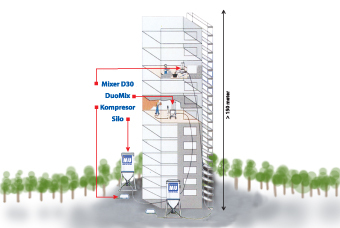 Mixer mounted under silo. 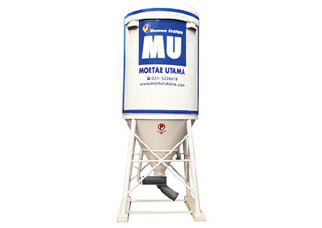 The dry mortar from the silo enters the mixer without being pumped (gravitational force). 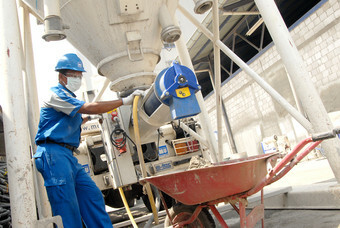 Mixer output: 2.4 to 3 m3 wet mortar.